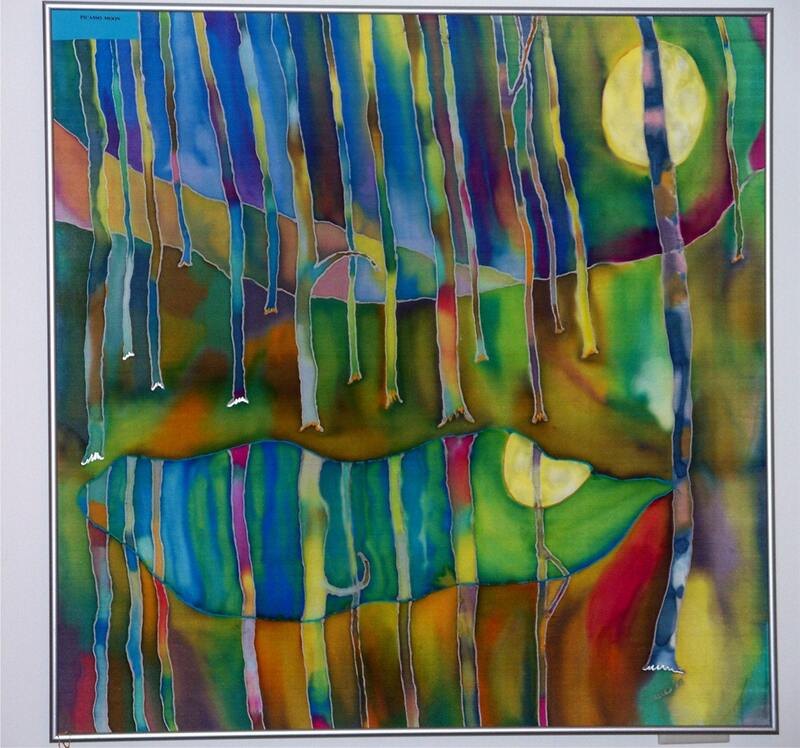 MysticSilks' Shop offers Beautiful Silk Paintings, Silk Scarves, and Silk Pillows. Each object is a unique work of silk art that can never be duplicated. As the dyes touch the silk, moving through the fibers, they take on a wonderful, mysterious life of their own. A steaming process sets the dyes, adding other dimensions and character to the piece. Klaire, the artist behind these flowing works of loveliness, agreed to a little chat with us. I was taking a new course in art about 8 years ago. It's my philosophy there is always something new to learn in the field of art. In the adjacent room to where my class was, there was another class beginning on silk art. During a break I meandered over to the silk art class and became very interested in the technique,the process, and the finished product: Three weeks later I enrolled into a new class on silk art. My first attempt was a silk scarf that I designed with the images of soap bubbles, and I was shaking through the whole process. My art instructor told me to relax, that this was an art where much of the control is taken away from the artist. It's so true. I try to control where the dyes go, but through the steaming process,the dyes appear to end up where they choose to go. The outcome is always a beautiful surprise. To create. It can be a painting, poetry, or writing a short story. Being seen on etsy. Getting exposure. This is a beauty. I am not being prideful, when I say that any painting, or item from my shop would make a lovely gift for anyone. It seems like a long time ago since I was a kid, and right after the depression. So growing up was the goal. I would have loved to have been a doctor. I managed to obtain a degree in nursing when I was in my late 40's. Whatever will be, will be. I'd love to sell all my paintings.